We should be deeply concerned for the 59 million children who never go to school at all, but also with hundreds of millions who attend but learn little or nothing. The scarcity of trained teachers and access to materials written in children's first languages is a modern crisis and a huge missed opportunity. Who has the scale and concern to act on this? World Vision - a Christian, child-focused organisation - is enthusiastically engaging people of all faith backgrounds to act on the shared virtues which can lead to improvements in child wellbeing. This is an era in which 'religion' is being blamed for many social ills. We should remind ourselves of the tremendous positive impact that people of faith continue to have in society - including in education. In the early days of the Syrian refugee crisis, I was moved by the symbolism of emergency classes being run by World Vision's Christian staff, hosted in an Islamic training institution in Lebanon with the support of its Muslim staff. The faith community's approach to effective education, from the Aga Khan Foundation's use of computers in Kenyan schools, to Catholic Relief Services work in conflict-affected Africa, is modern and innovative. A lot of effort goes in to researching which interventions produce results. Evidence-based literacy programs unlock human potential and are the cornerstone of development which lasts. Extra years of good education - especially for girls - lead to better health and employment opportunities, thriving economies and stable societies. 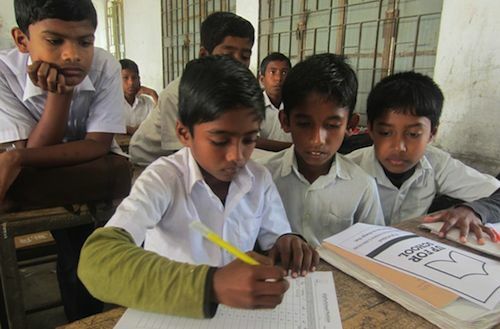 This research into the best approaches available led us to implement a program called Literacy Boost, a copyrighted tool designed, developed, and owned by Save the Children. The program regularly assesses children's reading skills, trains teachers and motivates communities to support children in fun out-of-school activities. Using it, we are revolutionising education for 1.5 million girls and boys in 15 of the world's least-educated countries. The problem is so great that, even with numbers like those, we can't build a world in which every child has the literacy skills to succeed without a concerted effort by the global community - including faith leaders. That's why World Vision is an enthusiastic partner in the Global Faiths Coalition for Education. We also support the #UpForSchool petition. Of 10 million global signatures, we submitted 1.5 million from Bangladesh, where the campaign sparked a national movement. Each statistic is a human life. I met Rabeya, a Bangladeshi teen, who was taken out of school by her father and held at home for weeks as he prepared her for marriage. Akter Samsunnahar, a quiet 16-year-old girl who is unrelenting in her desire to see her peers stay in school, visited every day with other volunteer members of her Khulna Child Forum. They debated with Rabeya's father, until finally he gave in. Our faith's instinct towards the dignity of the person is powerful. Combine that with the best in learning science and we can transform education. Let's provide a brighter future for millions of children like Rabeya. It's one of the great privileges and imperatives of our generation. 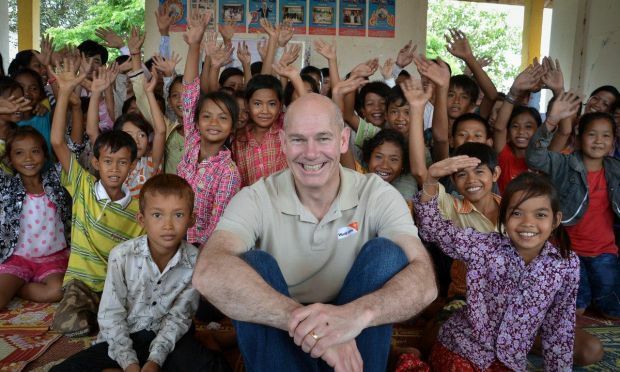 Kevin Jenkins became President and Chief Executive Officer of World Vision International in October 2009. His goal in leading the Christian relief, development and advocacy organisation is to achieve meaningful, lasting change for the world's most vulnerable children. He previously served the organisation as a sponsor, volunteer, fund-raiser and Board member with World Vision Canada.